I must say, this is a great high quality product! I especially love the different heights of the discs and adjustability of the device. It is fully customizable, so I can pin point spots that need more pressure and limit pressure on other spots nearby rather than using the transition uniform pressure a foam roller provides. The Ensō Roller is fairly compact and light so I could easily take it to a race or training session and use it as needed. The discs can be completely removed and arranged to make a hand-held roller for IT bands or used in a more traditional fashion. 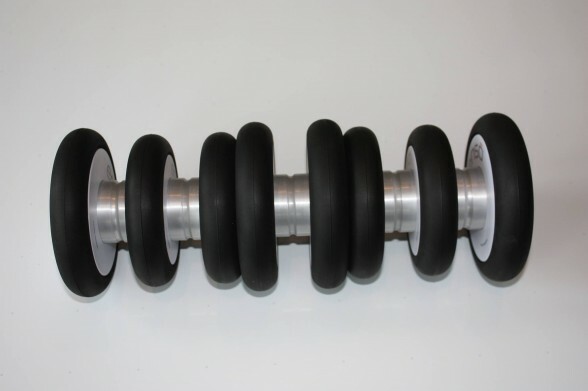 This will definitely be replacing my old standard foam roller and will add to all the great benefits of SMR including; increasing blood flow, elongating tissue, breaking up adhesions, releasing tight muscles for better posture and generally just making me more flexible and decreasing my likelihood of injury. This will most definitely be added to my daily fitness and health regimen. I highly recommend this product for everyday athletes and advanced athletes alike. Who doesn’t want a deep tissue massage at your fingertips?! Check out this informative introduction video about it. Great product! To learn more or purchase one for yourself visit EvoFit Be sure and use the code BlondeRunner17 for 35% off an free shipping. This product will be featured in Runner’s World magazine in the spring so be looking for that!